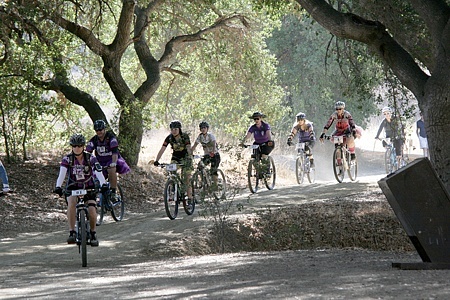 A group of women head out towards the M*A*S*H site in Malibu Creek State Park at the annual Girlz Gone Riding Roctober event. 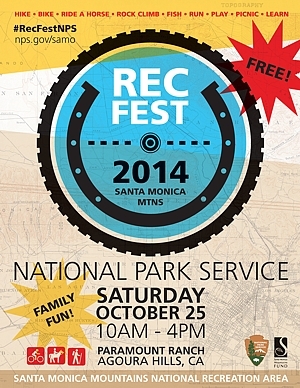 Find out about recreational opportunities in the Santa Monica Mountains National Recreation Area. CORBA and Girlz Gone Riding will be there with skills demonstrations, and CORBA’s Youth Adventures will have a kid’s safety rodeo and short trail rides, with bikes provided. Girlz Gone Riding Rocktober Wrap-up, held October 19th, 2014. CORBA Kids Club fun rides are held at various locations around the Santa Monica Mountains. These kid-friendly organized rides led by volunteer parents are intended to build confidence, promote health and wellness, share knowledge of trails and riding techniques, teach respect for each other and the environment, and inspire the next generation of mountain bikers and CORBA volunteers! 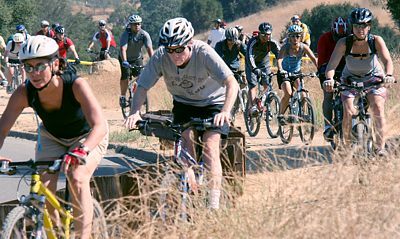 Children of all ages and abilities may attend (parent or guardian must be present and sign a waiver), and trailers/trail-a-bikes are welcome. Rides will take place the last Saturday of every month starting this November 29, so check our calendar to find upcoming rides! Amazon Smile is a program that allows Amazon customers to support CORBA through their Amazon purchases. Once you designate CORBA as your non-profit charity of choice, 0.5% of all eligible purchases made through http://smile.amazon.com will go to CORBA. There’s no additional cost to you. You can still use your Amazon Prime to get free shipping and other benefits. 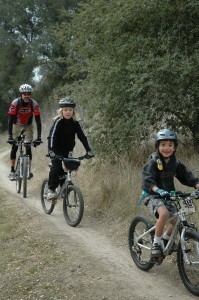 The next CORBA Kids Club ride will be Saturday Nov 29 at Cheeseboro Canyon. Sign up on our Meetup event page to show your support! October 18, 2014: COSCA Annual Trailwork Day. 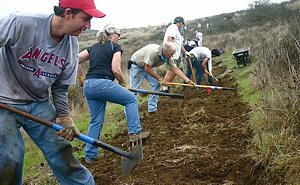 Come out and join the Conejo Open Space Conservation Agency (COSCA), CORBA, the Santa Monica Trails Council and other volunteers for the 24th Annual COSCA Trailwork Day in Thousand Oaks. The trail we will be building/repairing will be announced soon. For full details and to register, see our registration page. November 8, 2014: Backbone Trail. We'll be working on the Backbone Trail between Mulholland and Etz Meloy Fireroad, along with the crew from the Santa Monica Mountains Trails Council. Details are available on our online registration at Meetup.com. This is GGR’s 4th Rocktober event at Malibu Creek State Park and the biggest year yet. With 216 registered, 190 riders showed up! If the waiting list was released, we would have close to 300 women! I always start the morning with a quick motivational speech. This year was about empowerment since the entire day was about empowering each other to become better riders, better friends and just better in general. This year we were blessed with having 2 pro coaches for the beginner skills clinics! Christine Hirst, who has been with GGR since the beginning, and now Leigh Donovan, helped our incredible group of GGR riders to become safer, more confident riders! I watched all the ladies take off for their guided rides like a proud, very worried mother. Virtually everyone was in the purple, the GGR club color. Some had their GGR jerseys on, some had purple tees, purple jerseys, boa’s, purple beads, painted purple toes and finger nails, decorated handle bars, the bling goes on and on! It was fabulous! Ladies really had fun with the bling this year! Read the rest of Wendy's blow-by-blow account of the day on her blog entry... And take a look at the photo gallery, too! Saturday November 1st is the next skills clinic.